This topic contains 0 replies, has 1 voice, and was last updated by Chris Dunworth 9 months, 1 week ago. We recently tried to renew one of our subscriptions, and the payment went through, but it didn’t send us an authentication key. Below is the email. Could you please send the authentication key to cdunworth@tailoredmanagement.com so that we can reactivate Formidable Pro 2 PDF on our form? Chris Burleson, thanks for using PayPal checkout! ————————————————..
Chris Burleson, thanks for using PayPal checkout! Create a PayPal account in just a few seconds so every checkout is a snap! PayPal isn’t just a convenient way to shop online. It’s also an easy way to send money to anyone, across town or around the world. 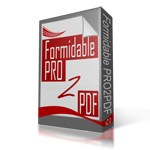 Save this receipt in case you need to contact Formidable PRO2PDF or PayPal customer service. Please do not reply to this email. To get in touch with us, click Help & Contact, or call 1 (888) 221-1161.